For delivery of paving stones and other products on pallets we deliver with a 53' flat-deck trailer and forklift. The pallets can be placed anywhere the forklift can access (10' wide). For delivery of loose aggregate materials. 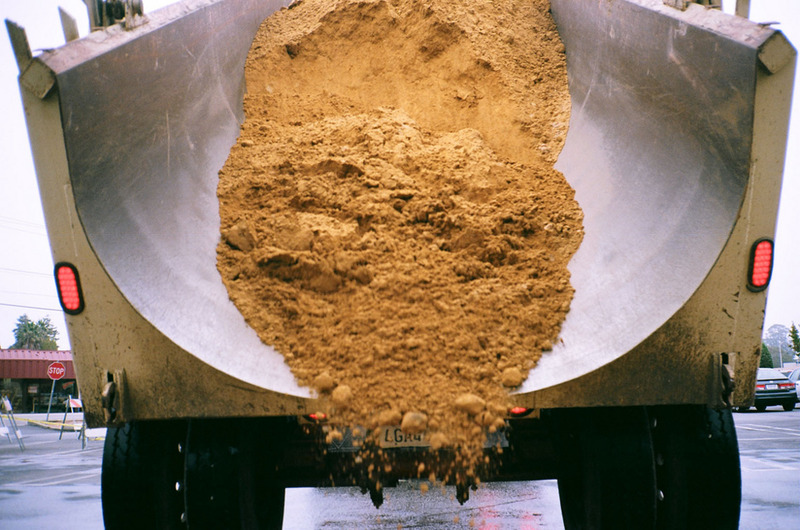 The maximum load for a tandem-axle dump truck is 12 cubic yards, but with appropriate access a 30 yard end-dump can be used.